As the General Contractor we are responsible for the overall construction of a project. We keep positive, clear communication flowing between all parties involved. 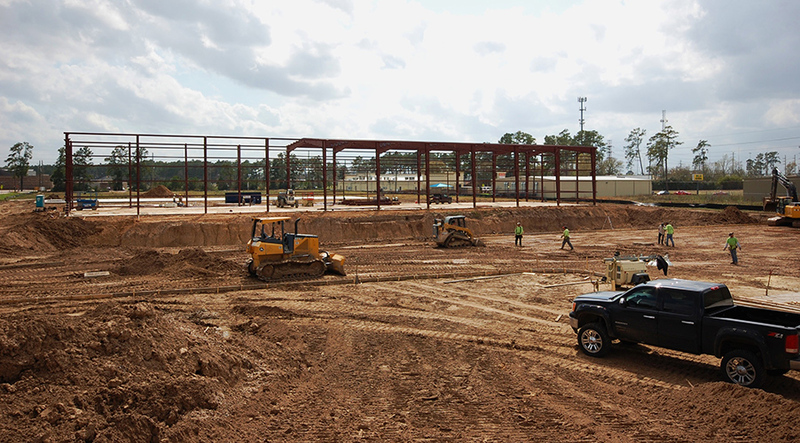 We manage the construction schedule, the job site, our crews, subcontractors and suppliers. We ensure the work performed meets our high standards and is accomplished within budgeted costs and designated timelines. Formulating a consistent and well organized approach, the Project Manager and Superintendent collaborate with the client, manage the schedule and coordinate the project from start to finish. Proper attention and resources are dedicated to the project by the Senior Management team. Whether it is excavation, grading, paving, site concrete or underground utilities, our strong relationships with trusted subcontractors ensure professional and complete site development. We manage and coordinate site construction, either as part of total construction, or as a stand alone project. Our clients often require renovations to take place while the facility is still in use. We work closely with the client to ensure minimal disruption to their daily activities and use of the facility. We accomplish this by coordinating our work schedules around the client’s needs, maintaining a safe and clean work site, and managing all permits and code requirements. We do everything feasible to accommodate our client’s needs throughout the renovation. High quality craftsmanship coupled with a strong sense of pride describes our approach to building restoration. Utilizing the specialized knowledge and skill of our construction team, we see historical restoration projects as opportunities to preserve the past for present and future generations to enjoy. From concrete cutting and demolition, excavation and sub-grade preparation, to rebar placement and forming, we have the ability to self-perform the entire scope of the project. Our concrete crews allow us to execute complex concrete projects from inception to completion.